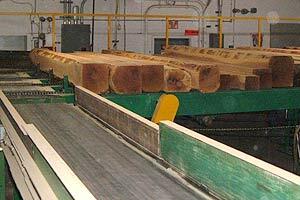 Wagner Lumber runs state of the art sawmills throughout New York State. Along with our partner mills, we produce some of the finest hardwood lumber available in the industry today! The primary species of lumber produced include Cherry, Walnut, Hard Maple, Red Oak, Ash, White Oak, Soft Maple, Birch, Hickory, and Basswood. Hardwood lumber is provided in thicknesses ranging from 4/4 to 16/4. In all of our facilities, lumber is graded by National Hardwood Grading Rules, and then sorted by length, thickness, and grade. Loads are assembled to go out immediately (green loads) or are sent to our dry kiln facilities. All industry grades are produced include FAS, 1 Common, 2 Common and 3 Common are available. 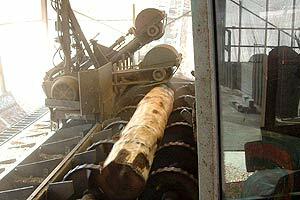 Industrial grade lumber, such as railroad ties, cants and architectural timers are also manufactured. Wagner maintains a large dry inventory, especially of heavy stock 6/4 through 16/4, so we can fill orders - both domestic and overseas. Visit each locations individual web page for more specific information!